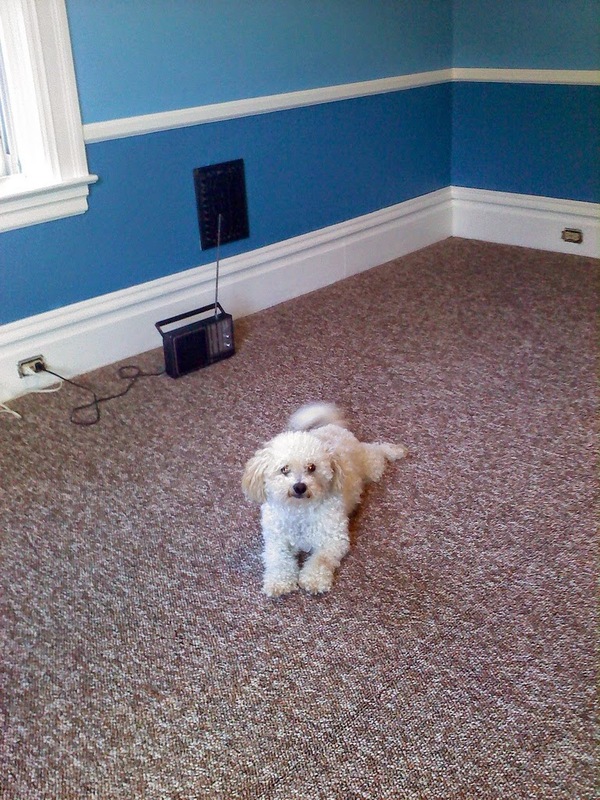 Here is Georgie trying out the newly installed carpet. This is the first time installing carpet myself and with the help of a power stretcher which I rented from Home Depot, it was really not that challenging. We bought the remnant that ended up not costing entirely too much, so we thought it would be a perfect time to try my hand at carpet installation. 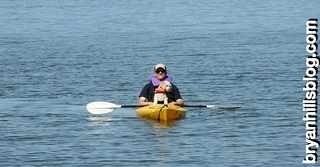 I would do it again to save us some money and eliminate relying on someone else. Below is Bethany after we moved all of her furniture back into her room. We plan on buying a new bedding set and curtains that will match the wall colors better. 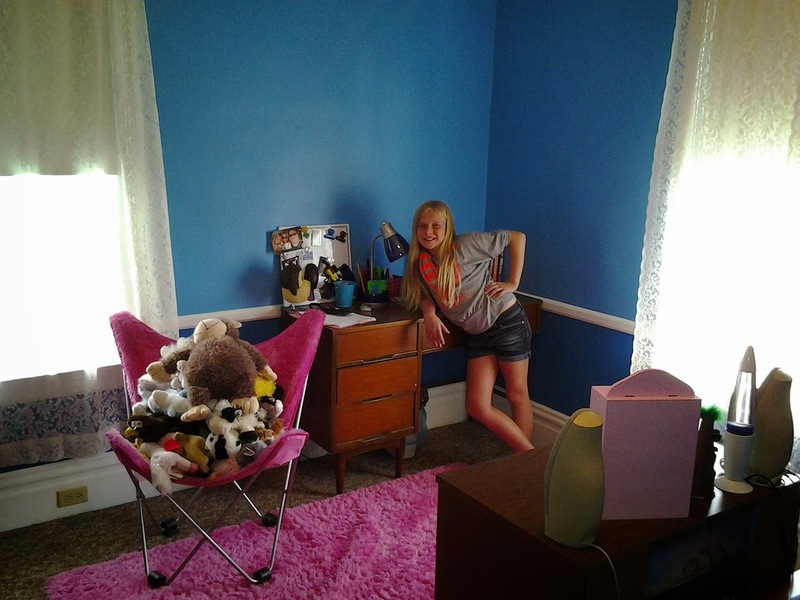 Below is Bridget posing for a picture, she is waiting patiently to have her room done, but has to wait until we renovate our fouth bedroom (what we used for an office) into our Master Bath. 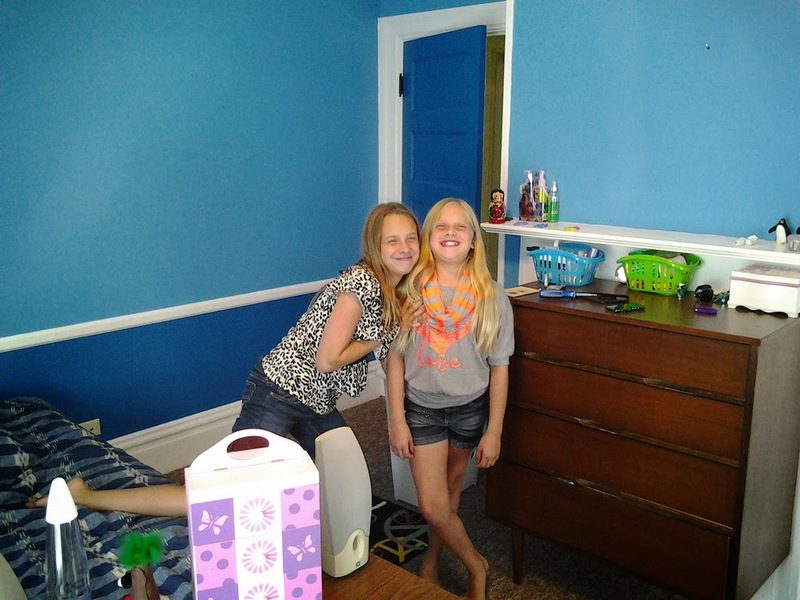 Here they are, Sisters, at this point in the summer they get on eachothers and my last nerve. Only five days left. Yay School! 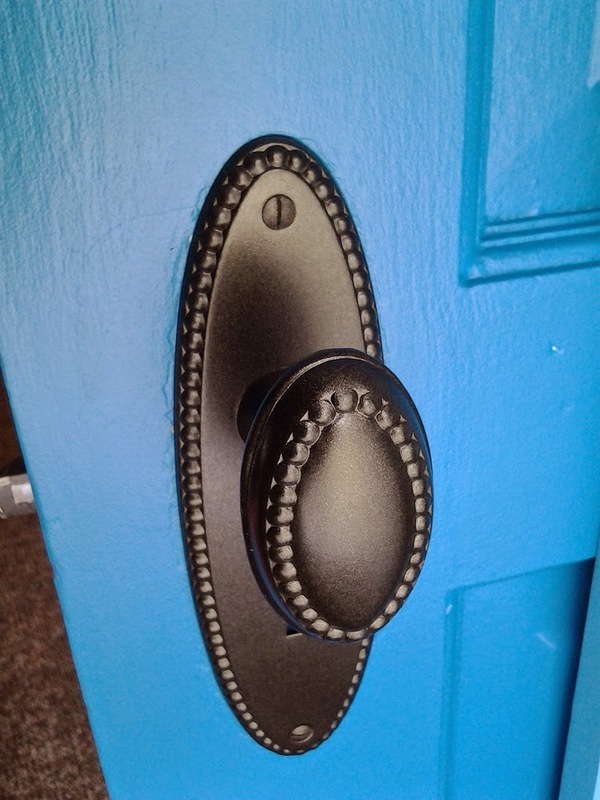 Below is one of the door knobs in her bedroom, I completely stripped all of the hardware and used Rustoleum's Oil Rubbed Bronze spray paint, to make it all look new again. I am thoroughly impressed with this product, if properly prepared it provides a durable, practical and classic finish! Thank for visiting my blog and have a blessed end of week and weekend!